The Liberal government is introducing long-awaited pay equity legislation for federally regulated employees. Under the proposed system, employers would need to examine their compensation practices and ensure women and men in workplaces that fall under federal jurisdiction receive equal pay for work of equal value. It would apply to all federally regulated employers with 10 or more workers. "Proactive pay equity is not just the right thing to do, it's the smart thing to do. The bottom line is that when people are treated fairly and are given an equal opportunity to succeed and to reach their full potential, we all benefit," said Patty Hajdu, minister of Employment, Workforce Development and Labour, in a statement. The 2018 budget is a pitch to Canadian women voters. But is it enough? This includes some private-sector employers, the federal public service, parliamentary workplaces, and the offices of the prime minister and other ministers. The act obliges employers to establish a pay equity plan within three years of the legislation coming into force. Employers would also have to identify job classes, evaluate work, and compare compensation associated with similar jobs dominated by men and women respectively. A pay equity commissioner also will be appointed to the Canadian Human Rights Commission. The person who takes up that position will be responsible both for educating employers about the policy and for enforcing it. "The Government of Canada, as the largest federally regulated employer, should lead in setting the standard in terms of equal opportunities for women and men. 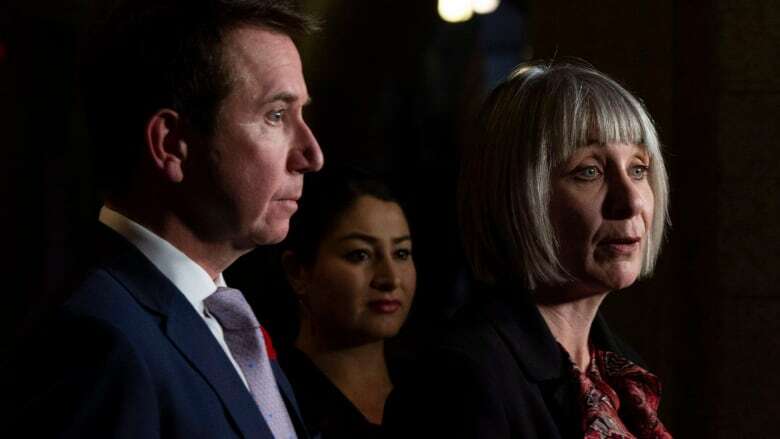 This historic legislation will help build an even better and more equitable public service to serve Canadians in our rapidly changing world," said Scott Brison, president of the Treasury Board. The Liberals also introduced legislation as part of the budget implementation bill that will turn Status of Women Canada into the new Department for Women and Gender Equality. According to a statement issued by Status of Women Minister Maryam Monsef's office, the department will become a centre of gender expertise that will be expanded to include sexual orientation, gender identity and expression and gender-based analysis. "These things are not just the right things to do. They are the smart things to do because advancing gender equality benefits everyone," Monsef said.